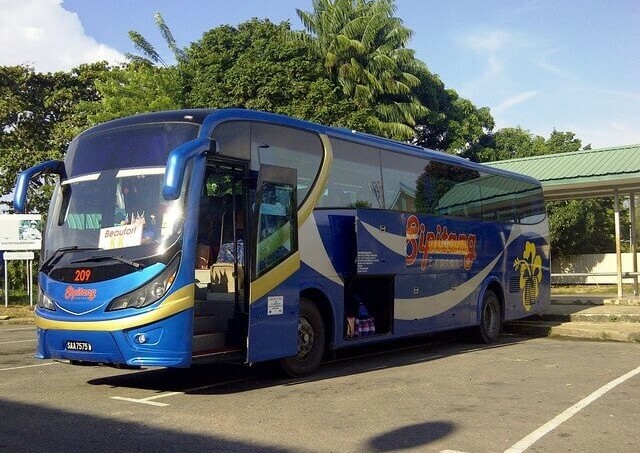 Sipitang Express is a bus operator with a strong presence in east Malaysia. They operate under the same management as Jesselton Express, which also has a significant presence in these parts. Trips from Kota Kinabalu to Sipitang are just the one to mention. There also trips to Menumbok, which serves as a gateway to Labuan island. They also cross the border to Sarawak and Brunei as well. Their buses are fully air conditioned with, reclining seat and more than enough of leg room, all equating to nothing less than a comfortable travel experience. Their trips are all priced at reasonable rates, making it easy on the travel budget. CatchThatBus offers online bus tickets to many routes covered by Sipitang Express as well as seat availability features. You can book your bus ticket online from our website or via mobile app which can be downloaded for free on Google Play or App Store.